There is an opportunity to reduce your domestic and apartment water demand by 30- 40% by grey water treatment and recycling for toilet flushing. 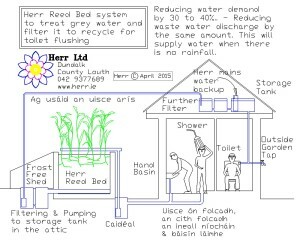 The Herr system will supply water to your toilets even when there is no rainfall. 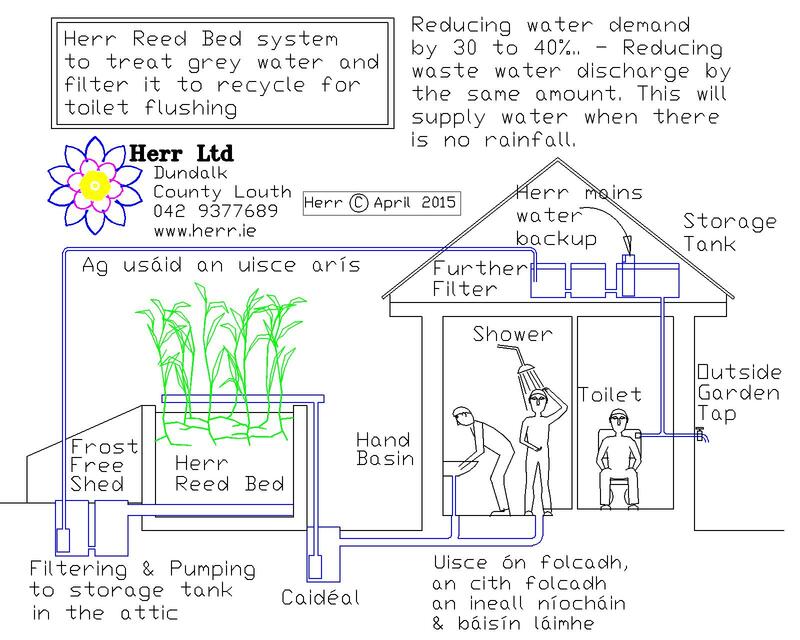 These systems take water from sinks, showers and washing machines through a Herr Reed Bed to remove the harmful pollutants. This water is then further re-filtered and stored in tanks before pumping back to a separate header tank for re-use in toilets. 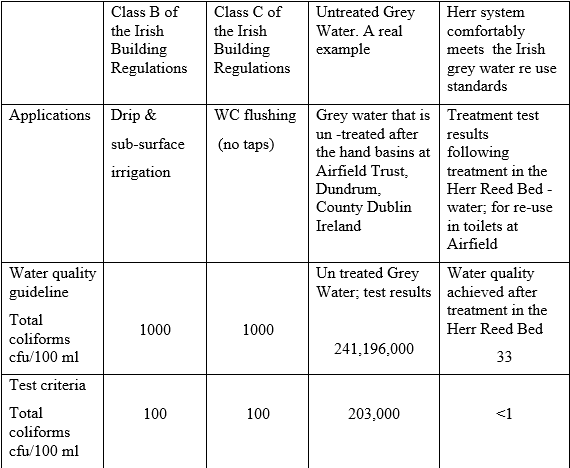 For domestic Grey Water systems the overall cost will range from €3,500 to €5,500 but a more accurate cost will follow meetings and discussions with your architect. The price can differ by household depending on the specific requirements and the ability of the client to self build. The photos show the appearance of larger domestic systems that can treat the grey waste water from 2 houses. 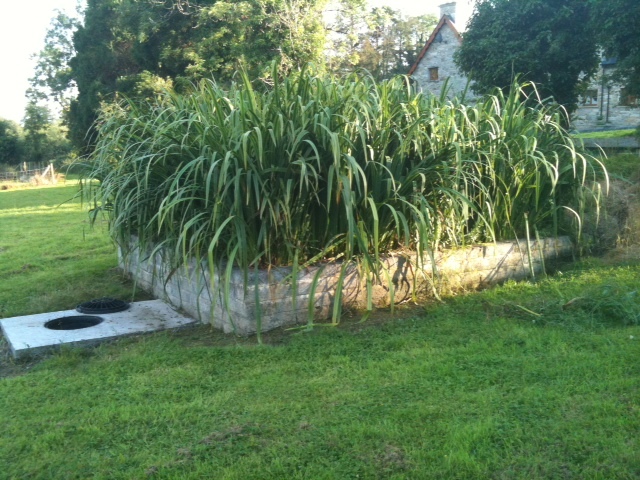 The reed bed for a single house with 5 people however would only need to be about 4 or 5 m^2 in area. A small frost free shed for the additional filters and the pump is also needed. Often a combined system is possible. 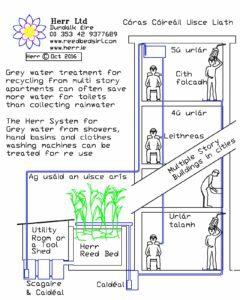 Grey water from baths, showers and hand basins can pass through a small reed bed but this can be built separately and side by side to a second reed bed to treat black water also from toilets and kitchens. In a double reed bed treatment situation a dividing wall separates the black water completely from the grey water to avoid cross contamination To reduce the power consumption, the availability of a good downhill sloping site might eliminate the need for the first of the two pumps, leaving just a single pump in the shed to return the treated grey water to a header tank in the attic. The photograph to the right shows a bigger 9 m2 area domestic reed bed with mature reeds growing in it. Designing as part of a formal garden with lawns or footpaths around the edges has advantages because of the frequent inspections and the easier access needed for maintenance. 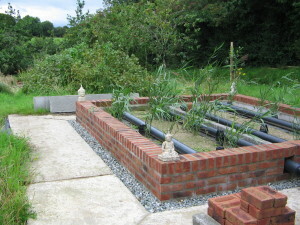 People who like to garden will get great pleasure from a well planned formal garden and reed bed that treats waste water and recycles it to reduce mains water demand and water charges. .
Grey water treatment for reuse is encouraged and in compliance with the EU urban waste water directive The EEC COUNCIL passed DIRECTIVE (91/271/EEC) on the 21st May 1991 concerning urban waste water treatment. 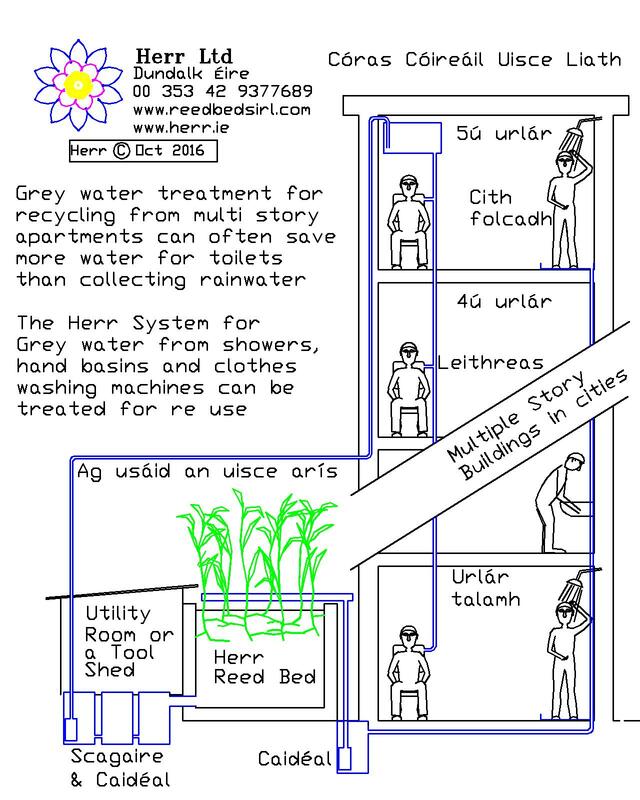 In the directive it, it states in Article 12:“Treated waste water shall be reused whenever appropriate.” Under part H of the Irish Building Regulations, grey water treatment is permitted for gardening and toilet flushing. 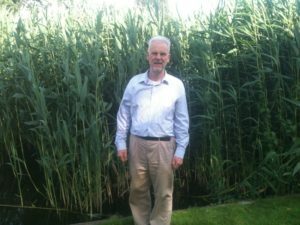 Home owners can be assured that the quality of the treated grey water from robust Herr Reed Bed systems will reliably meet the national treatment standards for many decades to come. There is therefore no legal or planning reason why any household or apartment block in Ireland or Europe cannot permanently reduce their mains water demand by treating and re using their Grey Water at their own site.